Kevin Price, Editor in Chief of USDR, recently paid a visit to the Minnesota State Fair. 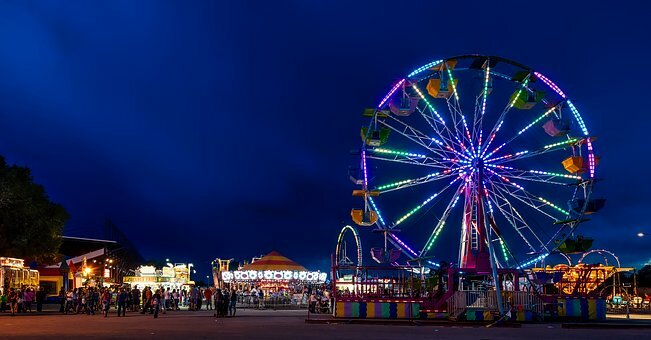 In a recent article in one of our sister news sites, USA Daily Chronicles, he reflected on how it was a great learning experience on how NOT to go to the fair. When I was a kid growing up in the Detroit suburb of Ferndale, Michigan, I always looked forward to the state fair — even thought it symbolically meant that summer was over and school was about to start. I had not been to a state fair since my teens. Sure, I’ve been to things similar to them, but not an actual state fair. That is, until yesterday. While visiting family I noticed that Minnesota was enjoying its annual fair and I decided to make a day of it, even though I could not get any buy in by others. It was just me. I arrived at around 11 in the morning and left around 8 pm. I walked around 12 miles, according to my pedometer. I was exhausted, but in a good way. “Locals gush about the 80-plus different foods served on sticks, the beauty queens carved in 90-pound blocks of butter, the giant Ferris wheels and the 1,450-pound swine.